Defend your users. Protect your brand. Put an end to fake accounts, and stop losing customers to account takeover. 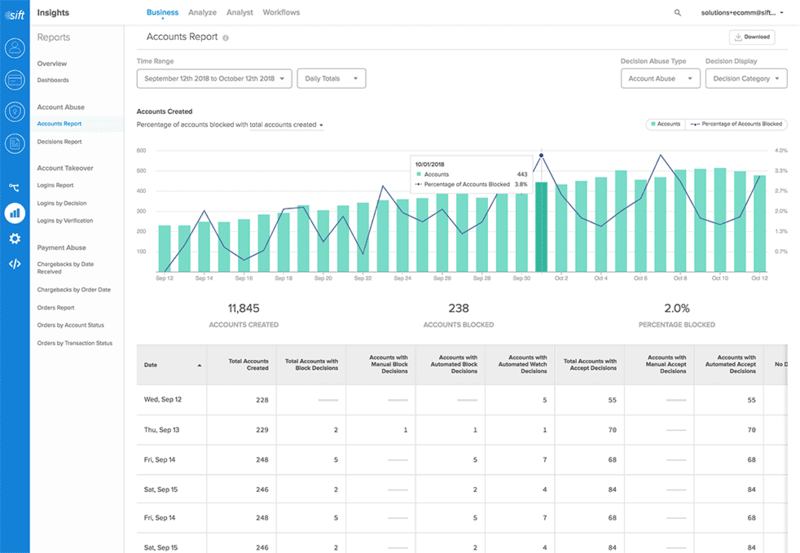 Sift secures all of your accounts, so you can gain new users and retain existing ones. Keep fraudsters and bots from signing up and damaging your brand and bottom line. Prevent bad actors from accessing good accounts and eroding your customers' trust. Maintain a simple and secure experience for good users, while blocking the bad. 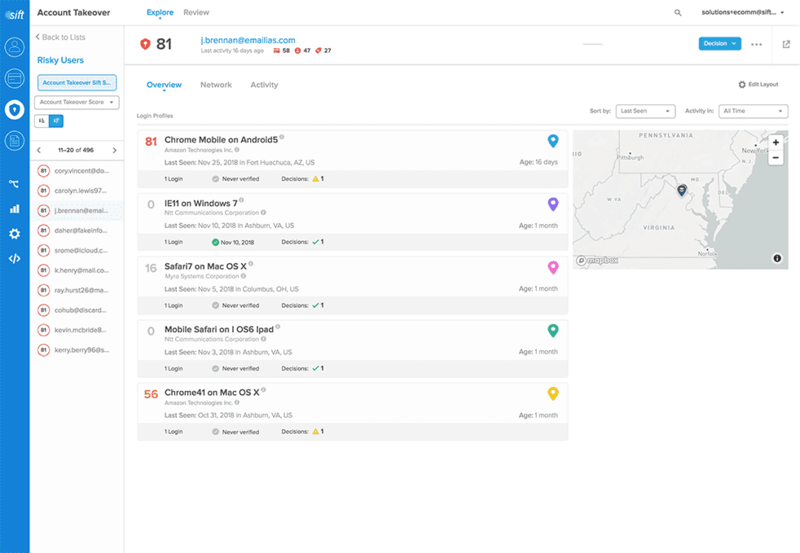 Easily detect anomalous behavior with a clear view of login history – from locations and devices to a timeline of sessions. Use the global network graph to reveal connected fraudulent accounts, so you can stop attacks before they happen. 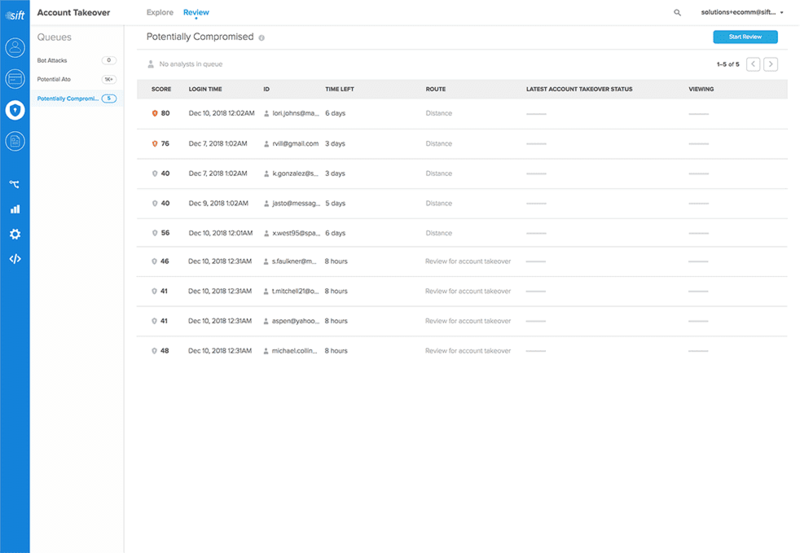 Create dynamic login experiences, block or accept signups, or route accounts to review with automated Workflows. Customizable Review Queues make the process faster and more efficient, so you can reduce friction for real customers. 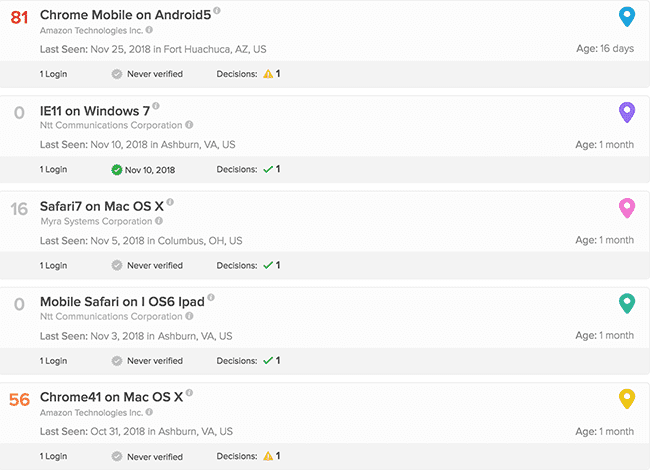 Sift detects more ATO than our rules-based system could, and the console makes it easy for our team to investigate suspicious cases and take action quickly. Without Sift, our fraud review process couldn’t operate as it does now. This information that we provide to our agents allows them to make smart decisions fast. There is no way we could do what we do without Sift. Find out more about how Account Defense helps you protect your customers and stop fake accounts. 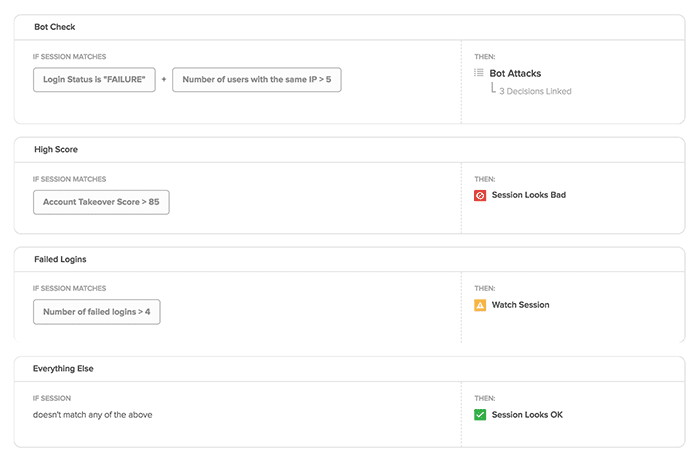 Get a walkthrough of how fraud teams use Account Defense to work quickly and efficiently.